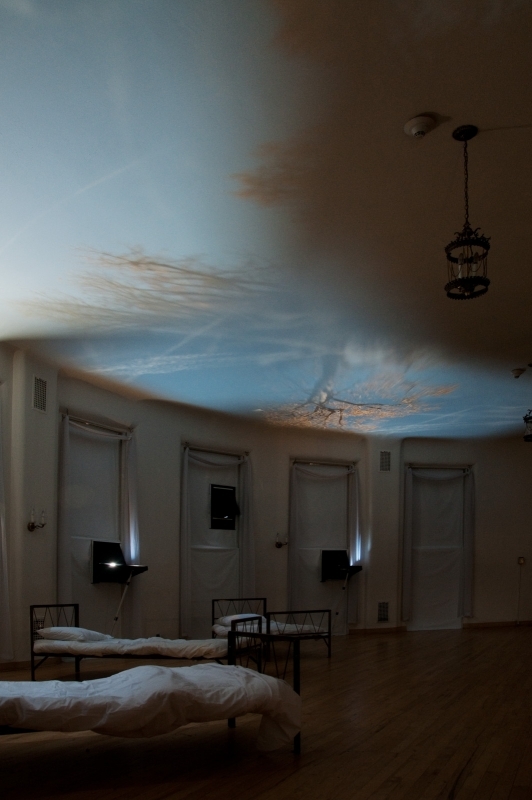 The camera obscura is an optical phenomenon named for latin ‘darkened room’, referring to a darkened space with a single opening to the light outside which results in a natural image projection. 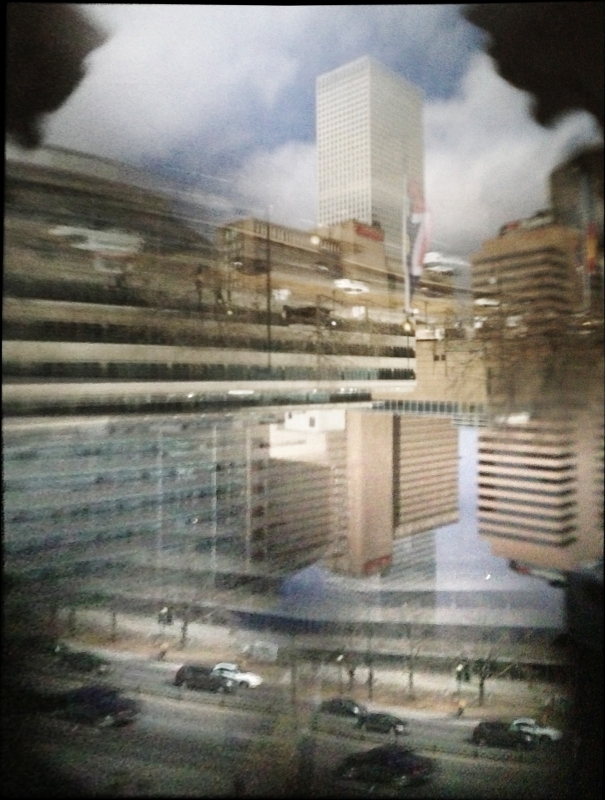 It is the basis of modern photography and lens-based images, and the notion of the camera obscura has served in philosopy as a model for perception and consciousness. 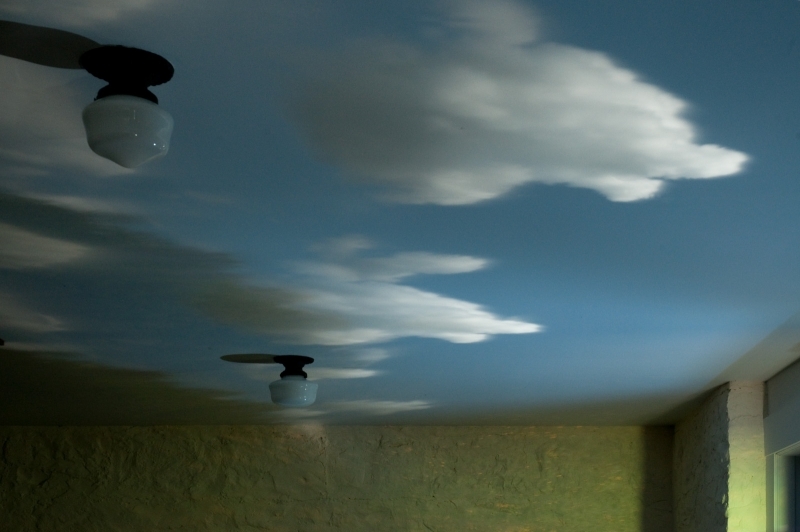 Images formed by the passive action of light in a camera obscura are subtle, colorful, moving emanations of the world outside the chamber. They resemble photographs or movies, but they are instantaneous and have no flicker, grain, or pixelation; they are almost unmediated. 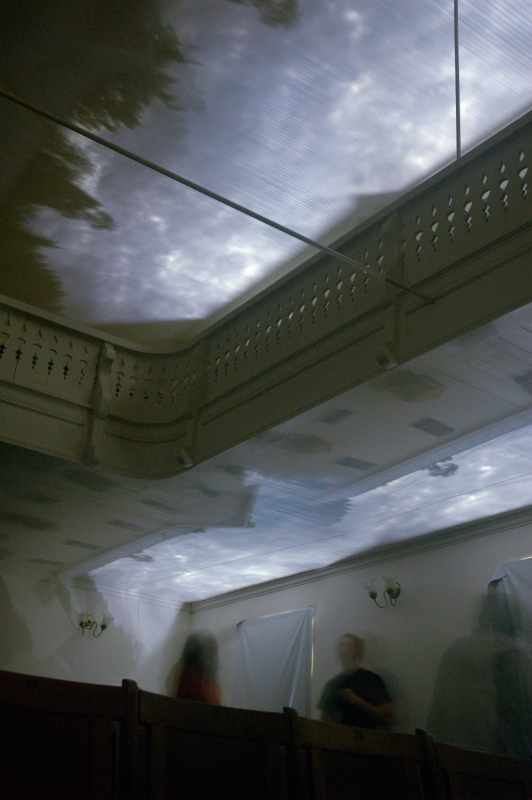 Ethan Jackson’s works with light often use the camera obscura, extending and multiplying its basic single-aperture form in a variety of ways. He uses the natural projections to reconfigure the recognizable world on interior surfaces in a three-dimensional collage. Such works are unique combinations of site and space, exploring the relationship between a room and its view, the stories that each has to tell layered over and around one another. 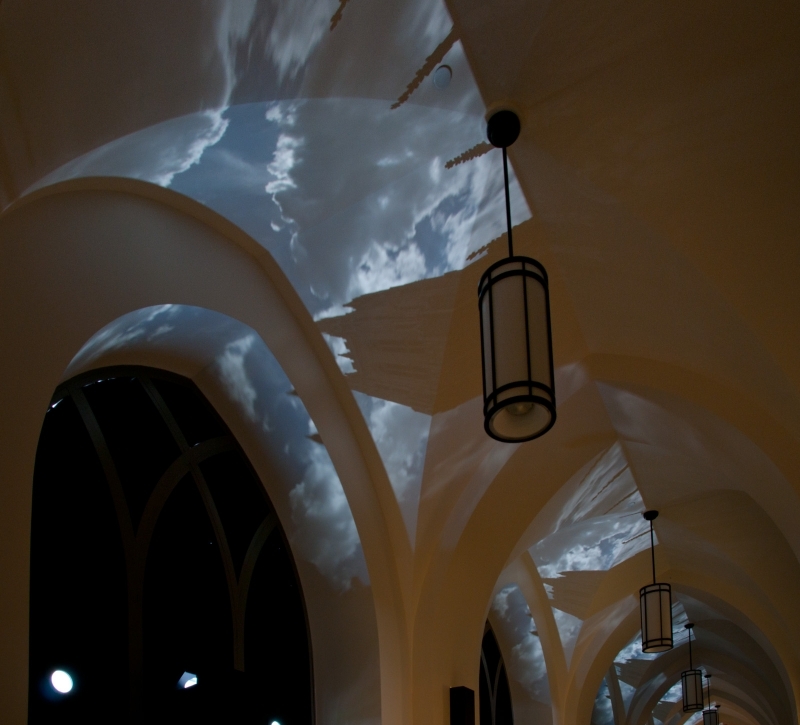 More than physical experiments with the nature of light and perception, Jackson’s work looks for spaces with history, character, aesthetic quality, and mood that will interact with exterior projection to produce something more, a breathing integration of setting and surface, view and enclosure. 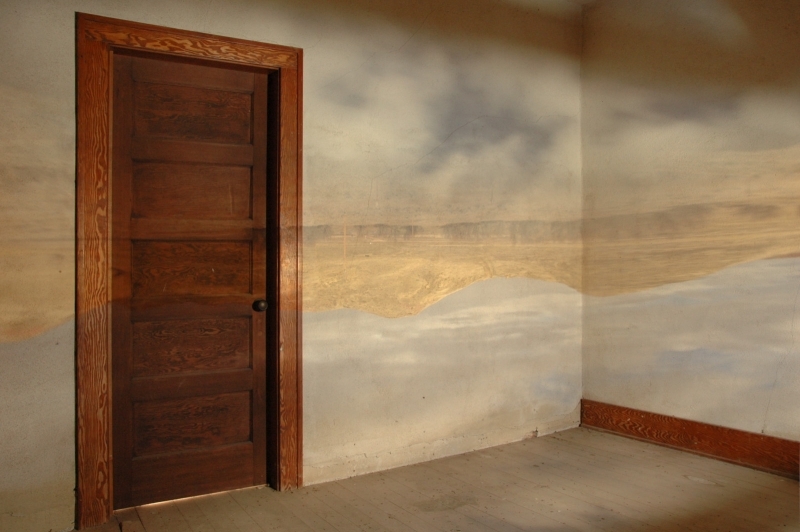 He departs from the photographic approach of many artists who use the camera obscura, to work at the margins of clarity, in places where images overlap or fall aslant across the textures and surfaces of a room. The psychological interior and the outer exposure of a space in its setting are folded into one another. Ideally, they create a contemplative space which viewers gradually perceive. As pupils slowly dilate in the low light, space seems to enrich, to open and welcome us, to invite us to dream and perhaps to see what the room has seen.